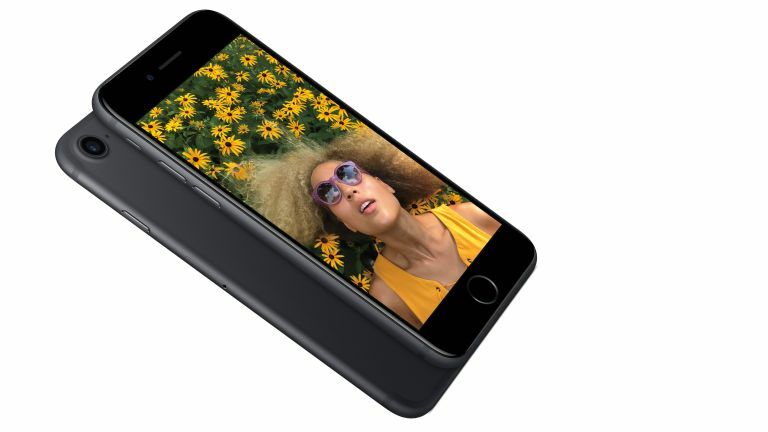 T3's deals patrol has brought in a tasty new iPhone 7 deal from the cold and, if you're quick, you can exploit it to the maximum, knocking £50 off the upfront cost of either the 32GB or 128GB models. To do this head on over to Mobiles.co.uk, select either the iPhone 7 32GB or iPhone 7 128GB (any colour), and then enter either the deal code 50OFF7 for the former or 50OFF7128 for the latter device at checkout. Simple. iPhone 7 32GB | £125 £75 upfront | EE | Unlimited texts | 1,000 minutes | 2GB data | £33.39 per month | - save £50! Simply use the deal code 50OFF7 to wipe £50 off the upfront cost of the phone, then pay just £33.39 per month on EE for 2GB data, unlimited texts and 1,000 minutes. Total cost over 24 months is £801.36. iPhone 7 128GB | £200 £150 upfront | EE | Unlimited texts | 1,000 minutes | 2GB data | £33.39 per month | - save £50! Simply use the deal code 50OFF7128 to wipe £50 off the upfront cost of the phone, then pay just £33.39 per month on EE for 2GB data, unlimited texts and 1,000 minutes. Total cost over 24 months is £801.36. The iPhone 7 is one of the best smartphones in the world right now, reviewing well when T3.com put the device through its paces last year, so if you've been thinking of picking one up now could be the perfect time to do so.